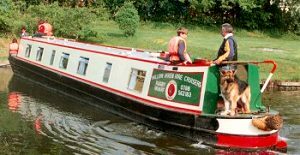 WE ARE A FAMILY OWNED canal boat hire company offering self-drive narrowboat holidays. 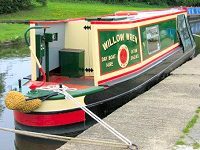 Our main base at Rugby Wharf and our historic sister base at Hilmorton Locks, are ideally suited to cruise the Shire counties across the English Midlands. Our narrowboats are available to hire all year round. OUR NARROWBOATS are available for holidays all year round. All are well insulated and heated so are suitable for winter cruising. Often length of hire period and start days can be varied off season - let us know what you want to do and we'll try to accommodate your wishes. From our boat bases at Rugby Wharf and Hilmorton Locks on the North Oxford Canal, you can enjoy the rural scenery of the Midlands, visit Royal Leamington Spa, Warwick, Stratford-upon-Avon, or simply lose yourself deep in quiet countryside, speckled with small villages. If you take a fortnight or longer, why not explore the waterways that join the Thames; South Oxford Canal through the Cotswolds, or cruise into central London for some sight-seeing via the Grand Union Canal. Why not book one or more of our larger boats for an office weekend away - ideal for team building weekends, stag & hen weekends. We have a choice of boats available all year round. We do occasionally get last-minute cancellations, so don't be put off if you find a few days spare at short notice. Give us a call and we'll tell you what's available, though our on-line availability is kept up to date and will include any cancellations.